For the lover of blues. 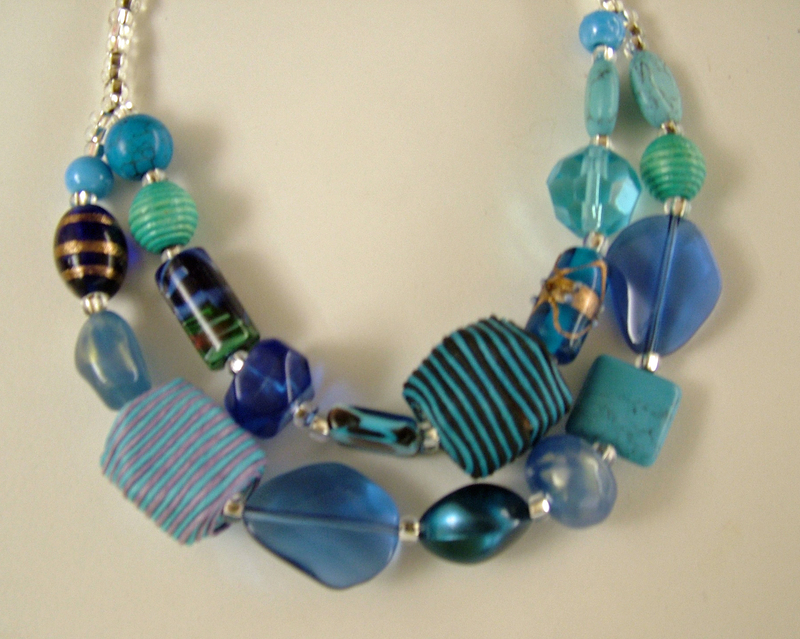 A collection of different coloured blue glass beads, turquoise and pearls. Two strands of blue excitement, this large unique necklace can take any outfit from day through to night.